Sometimes the beauty is right there—behind you. As photographers, we're taught to always look behind, for the unexpected view, or the unexpected light. In this case, I didn't even have time to turn around. 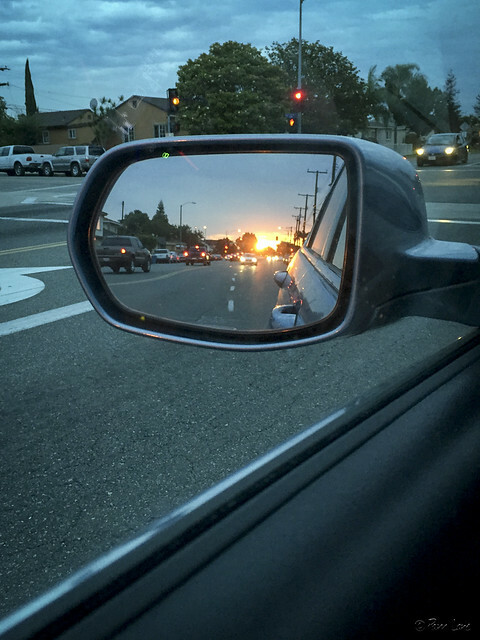 It was all I could do to snap this photo in the mirror, before the sun set and the scene was gone.